The charms of the beach of Sant Marti D’Empuries and its neighbouring beaches, El Moll Grec and Les Muscleres, enticed the ancient Greeks over 2000 years ago to conquer this land and build a town that became their gateway to the Iberian Peninsula (Ruines de Empuries). Sant Marti D’Empuries is a fabulous long sandy beach. The ruins of a Greek jetty provide for great snorkelling. 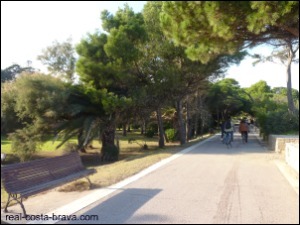 A pine tree lined tarmac promenade (Passeig Maritim D’Empuries) that leads all the way to L’Escala, runs behind the beach. A great place to walk, run, cycle or rollerblade. 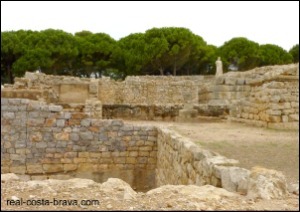 Behind Passeig Maritim D’Empuries lies the impressive ruins of the ancient settlement of Empuries. The “modern” (10th century!) walled village of Sant Marti D’Empuries is really beautiful. I always bring friends that visit to this village, as it's like stepping back in time. In the summer months (15th June to 30th September from 08.00 until 24.00) the tourist train-bus (el carrilet) links Sant Marti d´Empuries with l´Escala, Riells and Montgo. The train runs every hour, costs €2 per journey and travels at a leisurely pace along the promenade and through L’Escala town. Departing from the Plaça de les Escoles, through the centre of L’Escala town, stopping at La Punta, Passeig Maritim, Platja de Riells, Port, Avda Montgo and Cala Montgo. There is a children's play ground behind the beach, near Sant Marti d'Empuries, as well pedalo hire. The beach is convenient for families as there are toilets behind the beach, a car park and several beach bars selling ice creams and drinks. Zoom in on L’Escala and then on Sant Marti D’Empuries on the map below to see the numbers and names of the roads. The nearest motorway is the AP7. There is no public transport direct to Sant Marti D’Empuries. Instead you will have to get to L’Escala and then either take a 20-30 minute walk along the shady coastal promenade, or a short taxi journey or if it is summer take the tourist train-bus (el carrilet) along the promenade. You can get to L’Escala by bus from Flaça, Girona and Barcelona. Please see for details. 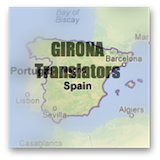 If catching a bus from Perpignan (it stops at Figueres) see for details. The nearest train station is Camallera (16km away). Please see for details (you have to click on the 'find all stations' button and manually find Camallera, as for some reason the website doesn't list it in the drop down menu). However, you will have to arrange a taxi or a hotel pick up from there, so you may find it easier/cheaper to catch the Sarfa bus from Flaça train station, which goes to L'Escala. If catching a train from Perpignan, the nearest train station is Figueres (21 km away). See for details. The nearest Costa Brava airport to Empuries is (45 km away). Check out flights at . The next closest airport is or . You can also fly to (162 km away). 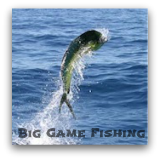 Check out for flights. More Lovely Costa Brava Spain Beaches? 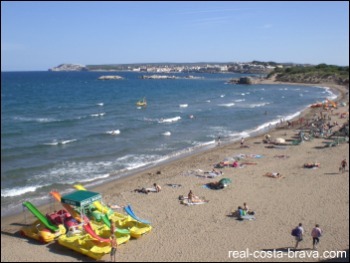 Find out more about the other beautiful Spain beaches of L'Escala.